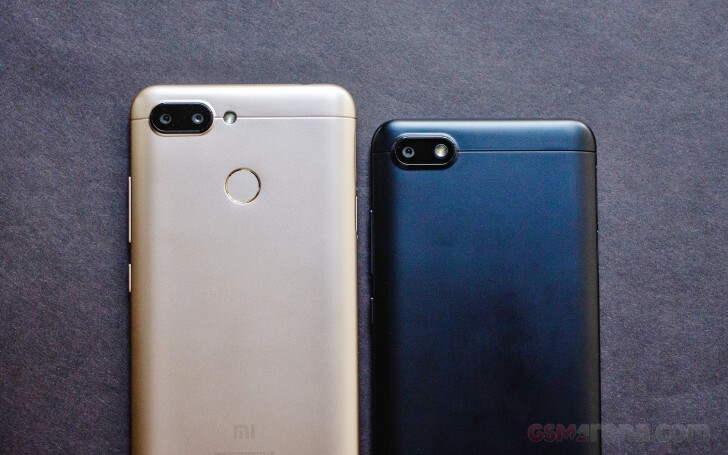 Both the Redmi 6 and the Redmi 6A are Xiaomi's entry-level smartphones in markets like India. The Redmi 6A is the cheapest phone the company sells and is one of the cheapest smartphones you can buy today. While looking at the spec sheet it's easy to feel like you are getting a great deal for the price, in reality, that may not be the case. In case of the Redmi 6A, the phone is very affordable but Xiaomi has cut corner in key areas such as chipset and memory, which results in rather poor everyday performance. The phone just feels ponderous to use and that's today. A year or two down the line it will likely be insufferable. That's a shame because some of the other aspects of the phone, such as the design, the display, and even the camera are actually pretty good. Had it been armed with a faster chipset, this would have been a good entry-level smartphone. As for the Redmi 6, the higher price does get you better performance and fixes some of our complaints with the Redmi 6A. For us, this is the ideal starting point in the current Xiaomi lineup as the Redmi 6A is just too slow for us to recommend to anyone. The Redmi 6 walks like line between affordability and usability much better without any significant compromises. But it wouldn't be a crime to talk about these devices without bringing forth the many issues with MIUI. Setting aside the differences from stock Android or the slow updates to major version of Android, there is now a growing concern and that is with the amount of advertising and promotional content that is now being stuffed into every MIUI device. If you've ever wondered why Xiaomi is able to price its phones as well as it does, this here is the answer. Many of the stock apps now have advertisement built-in. Others have promotional content from various sites and services. And on top of that, there is a bevy of pre-installed third-party apps and services from other brands. This is no different than what Amazon does with the Kindle, where there is a version available at a lower price provided you see an ad on the screen when it's not in use. Except that's explicit while Xiaomi is much more subtle. Or sneaky, depending upon how you want to look at it. It's like having a billboard in your pocket, constantly telling you to buy things or use something or the other from so and so brand. It wears you down and almost amounts to harassment as some of these apps are not at all considerate about how often they will notify you to check them out. This is absolutely a key aspect to consider when buying any MIUI device henceforth and it seems especially bad on these budget phones. It also seems to be getting worse with time.